Elemental Microanalysis is pleased to announce it’s recent accreditation to ISO 17034:2016. Accredited certified reference materials produced at Elemental Microanalysis provide increased confidence in their performance and production. Our manufacturing processes, products and analytical services already undergo regular and rigorous evaluation through our accreditations to ISO 9001 and ISO 17025, and the production of our certified reference materials will now be evaluated to the highest standard. ISO 17034:2016 specifies general requirements for the competence and consistent operation of reference material producers. It sets out the requirements in accordance with which reference materials are produced. It is intended to be used as part of the general quality assurance procedures of the reference material producer. 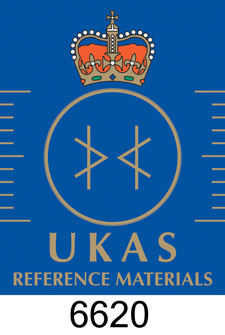 Elemental Microanalysis will now be developing a new range of reference materials that will be ISO 17034 accredited. In brief, the standard requires producers of certified reference materials to conform to technical and production requirements including: the assessment of homogeneity; assessment and monitoring of stability; characterisation; assignment of property values and their uncertainties; and integrity of these metrological traceable certified values. Of course, this accreditation is reviewed constantly, and technical experts check and maintain full compliance to the standard to ensure the accreditation, and therefore the CRMs produced, are still valid.